Whenever the operator does not have a clear view of the path his mobile equipment or vehicle is to take, whether due to path of travel, obstructions, poor lighting, poor weather or other factors. Whenever the mobile equipment or vehicle must travel in an area where persons are present and the operator cannot see all those persons who are present. When operating with the assistance of a guide person, the operator shall proceed only when the guide person is visible and indicates that it is safe to do so. The guide person shall position themselves where they are visible to the operator. Whenever possible, the guide person should be on the driver’s side of the vehicle. 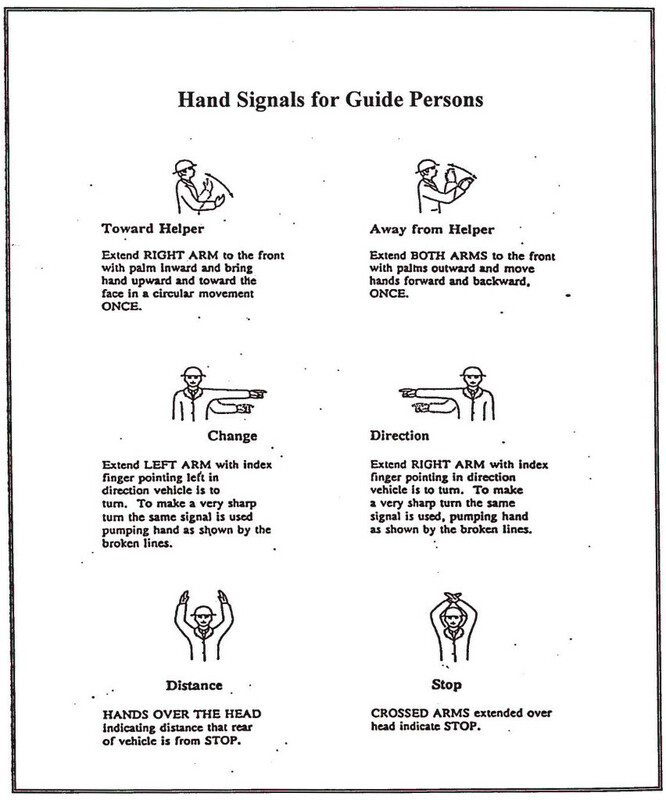 The guide person shall assist the mobile equipment or vehicle operator by providing directions about the safety of proceeding with the intended motion of the mobile equipment or vehicle, giving special attention to the presence of persons present in the work area or hazards, such as overhead power lines, which the operator cannot see from his position. The guide person shall not indicate that it is safe to commence the move until all persons are observed to be in safe locations. Do NOT move behind or in front of mobile equipment or vehicles until the operator or guide person is aware of your presence and has indicated that you may proceed.